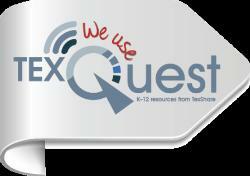 TexQuest is a reliable set of online resources for Texas public schools provided with support from the Texas Legislature. The following databases have been approved for Elementary-age students; you will find age-appropriate information that will help your student as they continue to develop as readers and researchers. Each database is slightly different, so be sure to search for your topic in each one! Britannica has been updated! Now available are NONFICTION E-BOOKS!! Click here to access ALL the Britannica sites, including early learners, elementary, middle, and spanish, as well as the ebooks. Kids InfoBits meets the research needs of K-5 students. It features a visually graphic interface, a subject-based topic tree search and full-text, age-appropriate, curriculum-related magazine, newspaper and reference content for information on current events, the arts, science, health, people, government, history, sports and more.